It was not pretty, but the Packers will take a win anyway they can get it. A late touchdown throw from Brett Hundley lifted Green Bay over the Chicago Bears 23-16. 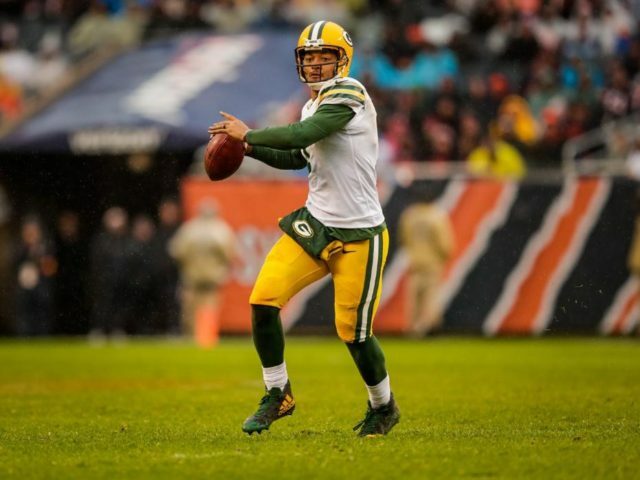 It was Hundley’s first NFL win and the first win for the Packers since the loss of Aaron Rodgers. The sense of urgency was definitely received in the locker room. Davante Adams, Jamaal Williams, Mike Daniels, and Nick Perry were just some of the difference makers from yesterday’s win. Hundley had a nice drive to start the game even though it ended in a field goal. His second pass was completed to Randall Cobb for a 38-yard catch to give Green Bay early momentum. Ty Montgomery stepped in for an injured Aaron Jones after what was believed to be a knee sprain. Montgomery would later exit the game following a hit that re-aggravated his rib injury from week 4. The first Green Bay drive of the second quarter resulted in a touchdown. The Packers were gifted a defensive pass interference against the Bears after Prince Amukamara got tangled up with Jordy Nelson. Three plays later Nelson made the decisive seal block that allowed Montgomery to go 37 yards to the house untouched. The defense did what they could to help a stagnating Packers offense. Dom Capers’ defense only allowed 6 point during the first half. Mike Daniels had his first sack since week 1 in Seattle. The run defense stifled the Bears allowing only one rushing first down all game. In past weeks, the Bears leaned heavily on their rush attack to ease the pressure on Mitch Trubisky. Capers had other things in mind. Trubisky played a strong first half throwing for 160 yards. He failed to carry that into the second half when Chicago failed to gain even a yard of offense through the entire third quarter. Midway into the 3rd Trubisky could have dumped the ball off for a big play, but Nick Perry made his third sack of the game and it eventually lead to a three-and-out. Perry’s three sacks set a new career high. Even with a strong defensive showing, Hundley and the offense did very little to capitalize throughout the third as they scored only a field goal. A pitiful result after controlling the ball for nearly 12 minutes. The third man up, Jamaal Williams, was doing a lot of the dirty work gutting out tough runs to keep drives alive. Williams is not a graceful back, but the grit he shows behind his pads will be useful come December temperatures. He finished the game with 20 carries for 67 yards. Hundley’s shining moment came well into the fourth quarter while it was only a three-point game. He orchestrated a great drive that lasted over five minutes. On 3rd and 2 he escaped the pocket left and scrambled for 17 yards to keep the clock running. Two plays later he found himself leaving the pocket again. Hundley felt the rush coming from his left so he broke out right looking for Davante Adams. Adams improvised and slipped behind his man allowing Hundley to float a perfect pass near the pylon for a Packers touchdown. It was by far Hundley’s best play of his short career. Look, by now we are well aware of Hundley’s flaws. He is late on a lot of throws and his progressions in the pocket need work. Regardless, you cannot take this one away from him even though much doubt has been stacked against him. “We just have to keep this momentum going,” said a smiling Hundley postgame. 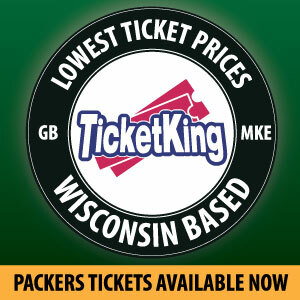 It looks like Green Bay will have a little confidence built up for next week when they face Baltimore back at Lambeau. This entry was posted in Brandon Carwile, Uncategorized and tagged Aaron Jones, Brett Hundley, Brett Hundley first nfl win, Brett Hundley touchdown to davante adams, Davante Adams, Hundley Touchdown, Jamaal Williams, Jordy Nelson, Mike Daniels, mike mccarthy, Mitch Trubisky, NFL, Nick Perry, Packers vs Bears 2017, Randall Cobb, Ty Montgomery. Bookmark the permalink.